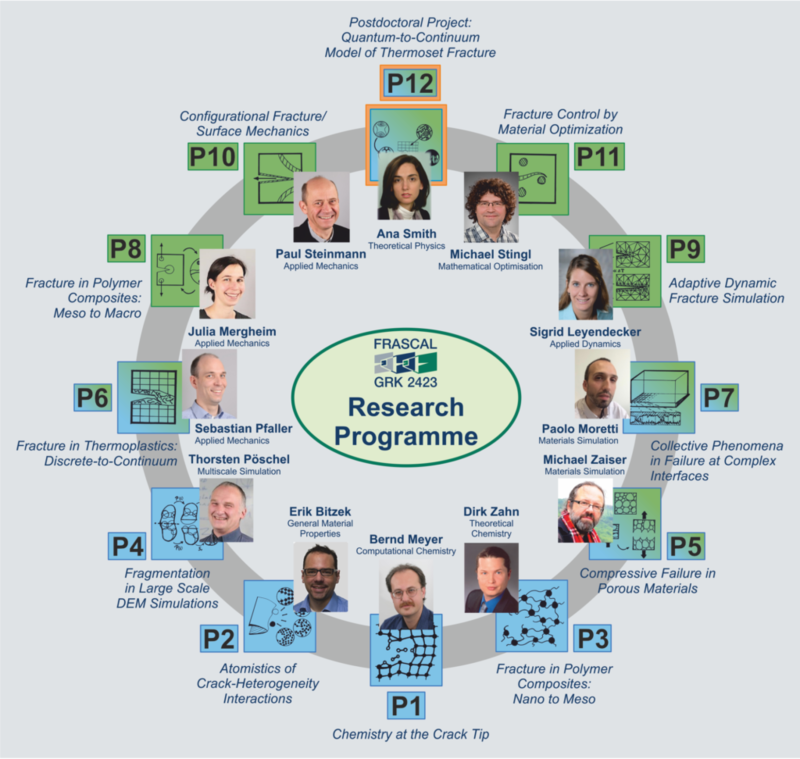 The present RTG (Research Training Group) aims to improve understanding of fracture behaviour in brittle heterogeneous materials by developing simulation methods that are able to capture the multiscale nature of failure. With (i) its rooting in different scientific disciplines, (ii) its focus on the influence of heterogeneity on fracture behaviour at different length and time scales as well as (iii) its integration of highly specialised approaches into a “holistic” concept, the RTG addresses a truly challenging interdisciplinary topic in mechanics of materials. Although various simulation approaches describing fracture behaviour exist for particular types of materials and specific time and length scales, an integrated and all-encompassing approach that is able to capture fracture processes in different – and in particular heterogeneous – materials at various length and time resolutions is still lacking. Thus, the objective of this interdisciplinary RTG consisting of experts from mechanics, materials science, mathematics, chemistry, and physics is to develop the necessary methodology to investigate the mechanisms underlying brittle fracture and how they are influenced by heterogeneity in various materials. The insights obtained together with the methodological framework will allow tailoring and optimising materials with regard to fracture behaviour. The RTG covers a representative spectrum of brittle materials and their composites, together with granular and porous materials. 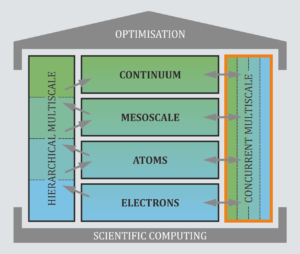 We study these at length and time scales relevant to science and engineering, ranging from sub-atomic via atomic and molecular over mesoscale to macroscopic dimensions. Our modelling approaches and simulation tools are based on concepts from quantum mechanics, molecular mechanics, mesoscopic approaches, and continuum mechanics. These are integrated into an overall framework, which represents an important step towards a virtual laboratory eventually complementing and minimising extensive and expensive experimental testing of materials and components. Soft Skill Training: "Time Management for Doctoral Researchers"
Soft Skill Training: "Research Data Management"